In today’s world, a more significant number of people work non-standard schedules. These new schedules can be anything from weekends and early mornings to completely nocturnal. Most alternative lifestyles are easy to plan for and work well with standard home designs, but overnight living requires some extra design work and planning. This article contains some tips to make your backward schedule easier on your body and your daytime family if you have one. One of the first things you need to do is invest in full-coverage blackout curtains and curtain rods. Full coverage curtain rods curve around the outside of the window instead of just going straight across. This allows the curtain to wrap around the window and touch the wall on both sides, blocking the majority of the light from outside. You can improve the ability to hinder light even further by attaching snaps or Velcro to the edges of the curtains and the wall and securing the curtain flat along the sides of the window. Getting the right curtains is necessary. You can double up on usefulness by getting insulated blackout curtains that block both light and temperature, helping keep your cooling and heating costs down. It&apos;s essential to have clear “going to bed” and “waking up” routines that you use every day to keep yourself on track. Doing the same activities each morning before you go to sleep will help create and maintain habits in your brain, telling it that its time to increase your natural melatonin levels. In the evening when you wake up, having a similar waking up routine can help your brain increase your cortisol or “wake-up hormone” levels. You can manage your sleep and waking hormones artificially as needed, especially if your schedule changes regularly, by using taking low doses of melatonin 1-2 hours before you want to go to sleep. Taking a dose of melatonin tells your body its time to start producing it. Between the synthetic melatonin and your body’s natural production, you can manage your own sleep cycle and switch it up as needed by just changing what time you take the melatonin. It&apos;s critical to ensure that if you have daytime family members or other relationships, you are awake for at least some daytime hours to maintain those relationships. This is where artificially adjusting your sleep schedule really comes in handy. It&apos;s also necessary to keep your Vitamin D levels high enough. One of the riskiest parts of being an overnight worker is that you don’t get enough sunlight to create enough Vitamin D for your body. You can efficiently resolve this by ensuring you take high doses of Vitamin D regularly. If you are concerned about taking high dose vitamins without the input of a doctor, you can get exactly the right amount by asking your healthcare professional for a blood test to determine your current levels. Shopping for the right home to support your overnight lifestyle can be tricky. 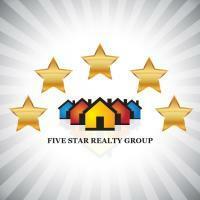 Make sure to let your real estate agent know about your overnight needs to get the best property for your lifestyle.